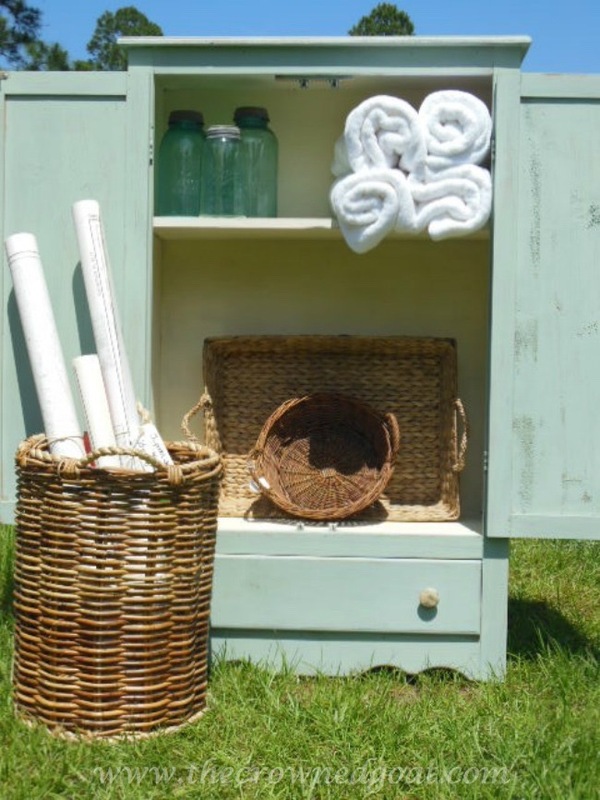 One of the best selling colors at my booth located inside of The Pickers Market is Annie Sloan Chalk Paint in Duck Egg. I’ve painted a lot of pieces in this color and a year and a half later it continues to be a customer favorite. 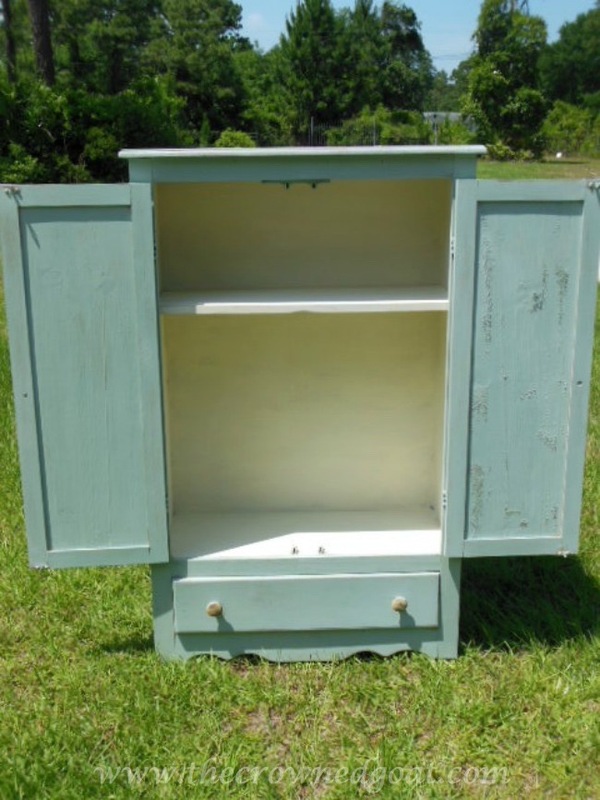 I fell in love with this primitive pine cabinet the minute I saw it at a local antique mall. 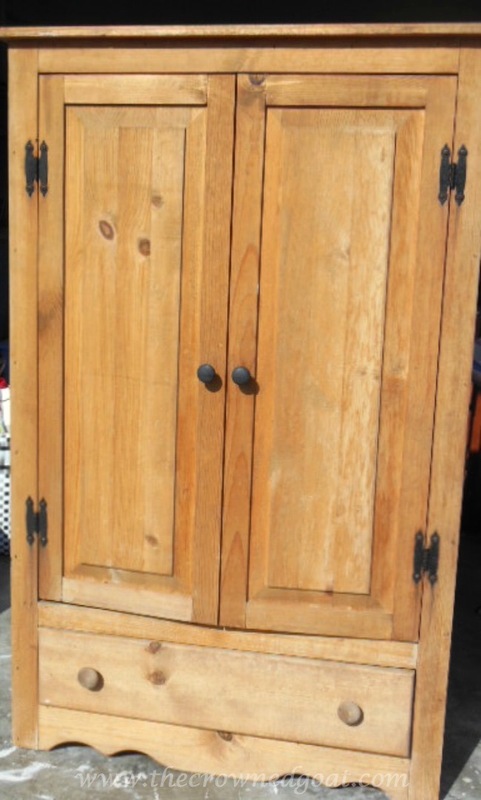 The cabinet had two doors and offered a lot of storage options including a large drawer at the bottom. It almost looks like it could have been used as a closet at one time but the owner of the antique mall said it was used to store quilts and blankets. The piece was one of the first pieces I used a custom paint mix on. 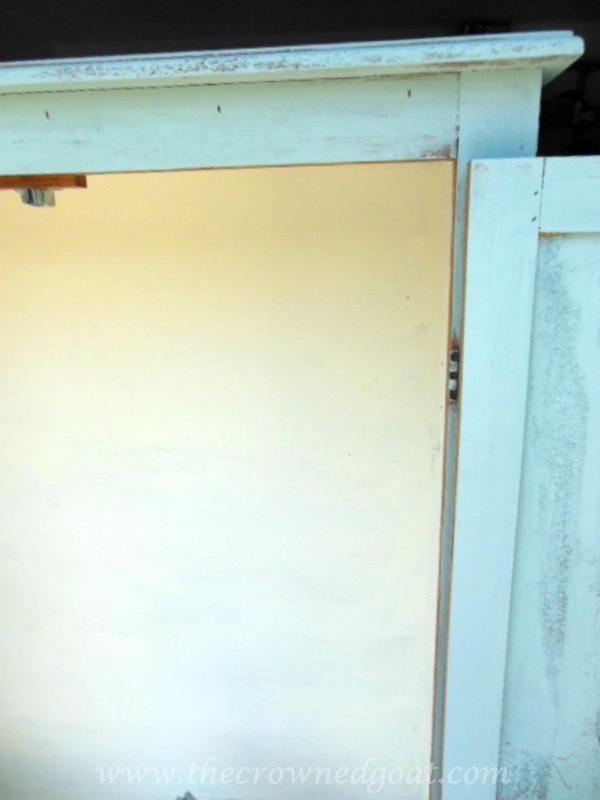 The outside is painted in a combination of Duck Egg and Old White. The inside is painted in just straight out of the can Old White. The contrast between these two colors is still a color combination that I adore. I’ve used it many times over the past few years. 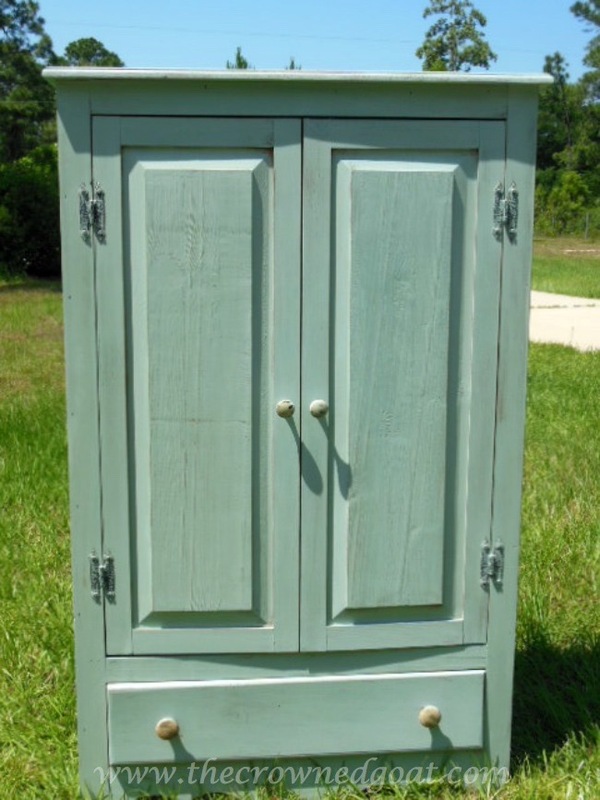 I don’t know why but the entire time I was painting this cabinet I kept picturing it being used in a coastal inspired bathroom with sea salt, shells, apothecary jars and a claw foot tub. 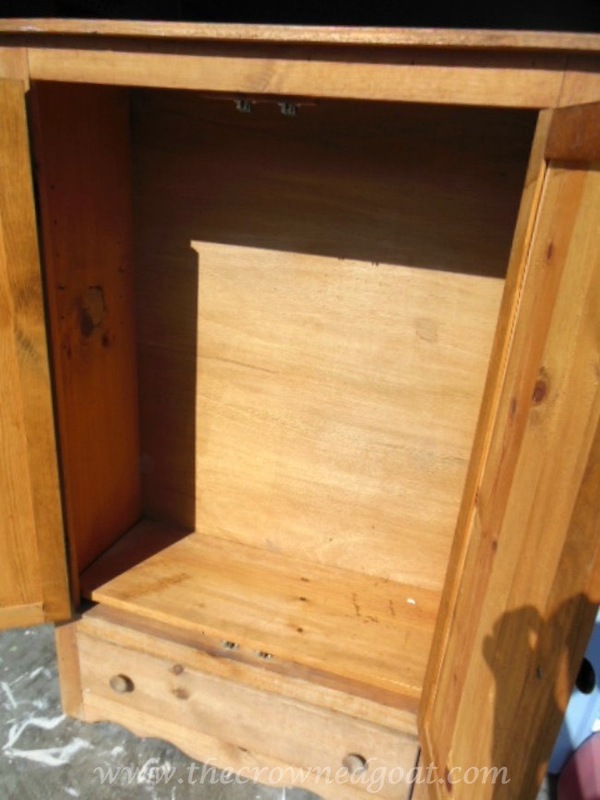 The lady that bought this cabinet planned to use it in her new condo. 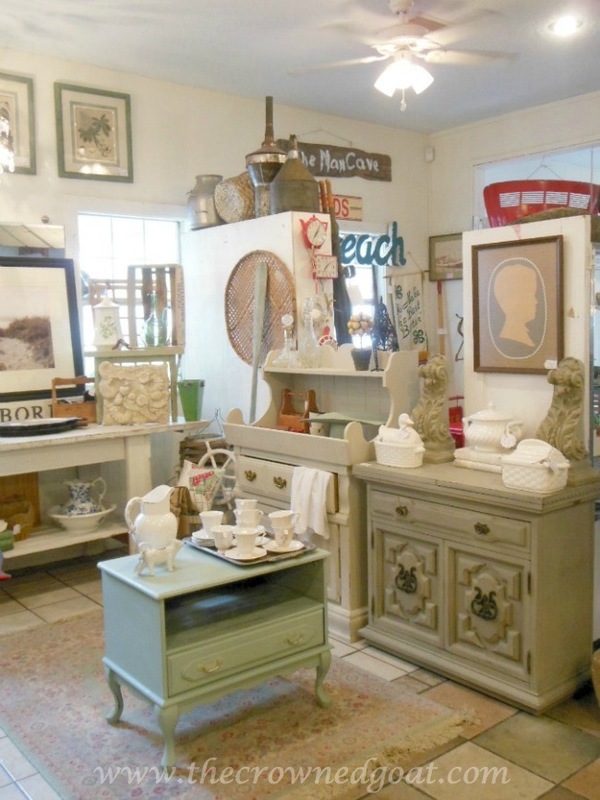 I would say the majority of my customers love coastal style. In fact of all the pieces I’ve painted in Duck Egg or a custom shade of Duck Egg this year, I only have one piece left in my booth. This end table/nightstand has been in there a few weeks so I’m hoping it won’t be long before it sells too. I spent most of Tuesday restocking my booth and inventory. I didn’t find as much as I normally do but that is part of the fun. 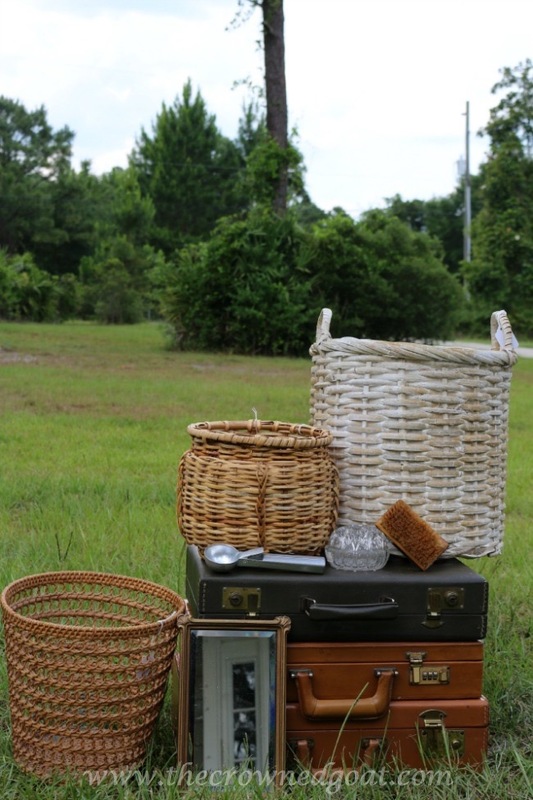 You never really know what you’re going to find when you go out treasure hunting. See you guys back here tomorrow. I’ll share my recipe for cherry cobbler. Love that cabinet! I need that for my master bathroom 🙂 Great find too!! Blessings and hugs to my friend in FL!